George Rivera, M.A., is the former museum of art Executive Director & Senior Curator, at the Triton Museum of Art in Santa Clara. Rivera was with the Triton Museum of Art since 1985, before stepping down from his position in July 2013. 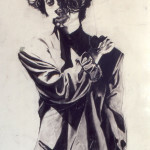 Prior to the Triton, Rivera was the Executive Director & Curator of the San Jose Art League from 1982-1985. 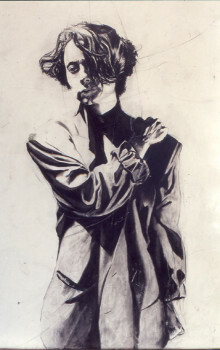 Rivera received his academic training in art for both his undergraduate and graduate degrees from San Jose State University. Since 1977 he has organized and curated over 375 exhibitions including local, state, national and international projects, collaborating with small and major national museums, galleries and private collections. This includes developing, organizing and overseeing in-house curated exhibitions that toured nationally in both museums and art centers. As a juror of art Rivera has served as a solo juror or as a member of a panel of jurors for over 400 (1978 to the present) exhibitions and competitions of local, regional, statewide, national and international art programs, projects, fellowships, artist-in-residency programs and competitions. 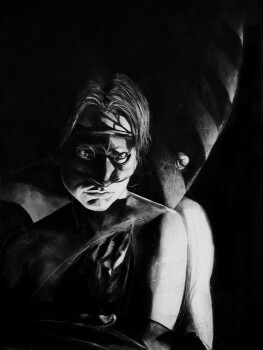 He is an Associate Faculty Instructor of Art at Mission College in Santa Clara (1986 to the present) where he has taught drawing, design, color, life drawing, museum and gallery studies, air-brush painting and oil, acrylic and watercolor painting. He was an Art Instructor of life drawing, figure and portrait painting at the Pacific Art League in Palo Alto (1998-2008). 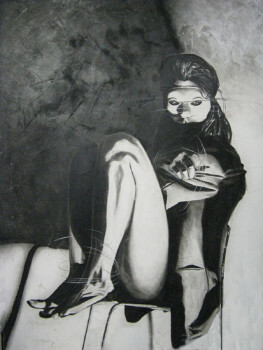 Rivera teaches a life drawing/portrait and figure class throughout the year at the Triton Museum of Art School. 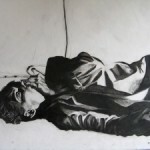 In 2005 he began instructing a class at De Anza College in Cupertino for a course entitled Art Exhibition Analysis where he meets his students throughout the Bay Area at museums, art galleries and artist studios to discuss contemporary art. Currently an Extension Instructor of curatorial/art history studies for the University of California at Berkeley extension program (1996-2000, 2007 to the present), Rivera presents lectures of Bay Area Art history from 1945 to today throughout the region. Since 1979 he has taught art studio, art appreciation and introduction to the arts/art history classes at San Jose State University, San Jose Art League, Pacific Art league, UC Berkeley Extension, DeAnza College, Triton Museum of Art School and Mission College. Committed to giving back to the art community, Rivera participates year-round in artist critiques to individual artists, students and art groups/clubs/associations and organizations, portfolio reviews and career counseling. As an artist, Rivera has been included in over 100 exhibitions locally, nationally and internationally. 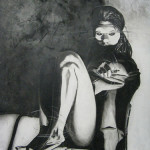 Since 1974 his drawings, mixed media and paintings have been presented at art centers, galleries and museums. His work have been represented by art galleries including the Group 21 Gallery, Los Gatos; Freeman Gallery, Palo Alto; Branner-Spangenberg Gallery, Palo Alto; Sperling Gallery, San Jose; the Pope Gallery, Santa Cruz; Ebert Gallery, San Francisco; Michael Himovitz Gallery, Sacramento; d.p. Fong Galleries, San Jose; Washington Square/Togonon Gallery, San Francisco, and now currently with the Sandra Lee Art Gallery, San Francisco. Locally his drawings and paintings have been presented at the San Jose Museum of Art; the De Saisset Museum, Santa Clara University; the Art Museum of Los Gatos; the Euphrat Museum of Art, De Anza College, Cupertino; the Triton Museum of Art, Santa Clara; National Steinbeck Center, Salinas, CA. ; Villa Montalvo Center for the Arts, Saratoga; Olive Hyde Art Gallery, Fremont; Union Art Gallery San Jose State University, ICA Institute of Contemporary Art, San Jose; WORKS/San Jose, MACLA San Jose, the San Jose Art Center, Michael Rosenthal Gallery, San Francisco, among others. 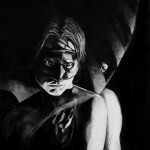 In 2012 there was a 30 year survey of his paintings and drawings at the Art Museum of Los Gatos. This solo exhibition featured a publication with an introduction and essays by art historians Preston Metcalf and Helayna Thickpenny and by Catherine Politopulus, Curator of Art at the Art Museum of Los Gatos. In 2013 Rivera will be in multiple two person exhibitions with his wife Kristin Lindseth Rivera at the Morris Graves Museum of Art, Eureka, CA. and the Sandra Lee Art Gallery, San Francisco, CA. Rivera and his wife Kristin contribute works of art to art auctions, fund-raisers and gallery/museum events throughout the year in support of community art programs throughout the Greater Bay Area. Since 1978 he has produced numerous commissioned portraits of many of this region’s community leaders as well as general portraits and commissioned work. 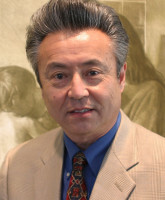 Rivera has been a recipient of numerous awards in the field of art, art education, curating, arts administration and community service, including annual recognition in the 23rd, 24th, 25th and 26th and current editions of Who’s Who in American Art, and in 2005 was selected annually into Who’s Who in America 60th and 61st edition. 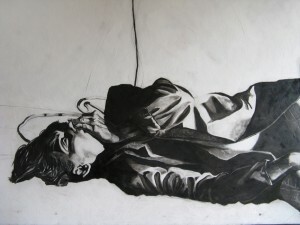 Twice he has been nominated by peers and colleagues for the prestigious Fleishhacker Foundation Artist Award. In 2013 Rivera was honored with the 2013 Artist Laureate Award Legacy Laureate from the Arts Council Silicon Valley. He also received a Proclamation from the City of Santa Clara in recognition of this award. As an arts writer his works have been published throughout the Bay Area including museum/gallery publications, catalogs and brochures, and he was an art reviewer and contributing editor for Artistwriter publication. Rivera also served as a host of INSIDE ART! A South Bay televised art program produced by award-winning and exhibiting artist Sandra Beard that was presented on public television community access channels throughout the area focusing the art of the South Bay Area region. This program featured artists, alternative art spaces and art programs from throughout the South Bay Area. Besides his activities as an art administrator, instructor of art, faculty member and artist Rivera has and continues to serve on numerous art/community boards and advisory board/committees for non-profit organizations and educational programs throughout the Bay Area. Both Kristin and George share their knowledge and experience in assisting artists, art clubs and community art programs throughout the region. I was completely surprised, humbled and honored. To be recognized by my peers and colleagues in this field and at this level was and is extremely humbling. For 28 years I was the Executive Director of the Triton Museum in Santa Clara, CA. This award was precious to me because it honored me as an artist. I currently teach art at Mission College and Ohlone College. My art continues as usual and since my award I have been very fortunate in being featured and presented in many exhibitions statewide. Never ever lose faith or hope, never give up what you love. The same, always a challenge. How have you been ? I haven’t seen you long time after I took my niece and met you the Museum 20 years ago. I just visited the Triton Museum with my neighbor friend on Sunday. The Campbell Artists’ Guild’s annual show is holding during August. Don and I have been learning watercolor painting 3 years. Do you have a chance to meet former Group 21 members? I am glad that I check you by Internet with your artworks and your younger face. Do your best! George, I want hear from you soon.